​Dr. Steenblock has been a psychiatrist at Center Associates since 1995. He received his medical degree from Creighton University and completed a psychiatric residency at the University of Colorado. ​Although he sees adult patients of all ages, he has a special interest in geriatric psychiatry, and provides service to many of the long-term care facilities in our community. 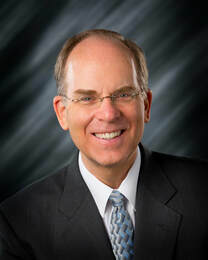 Dr. Steenblock is an adjunct faculty member at several schools and enjoys teaching students and resident physicians. He is board certified in general psychiatry and consultation-liaison psychiatry.